Mothers! 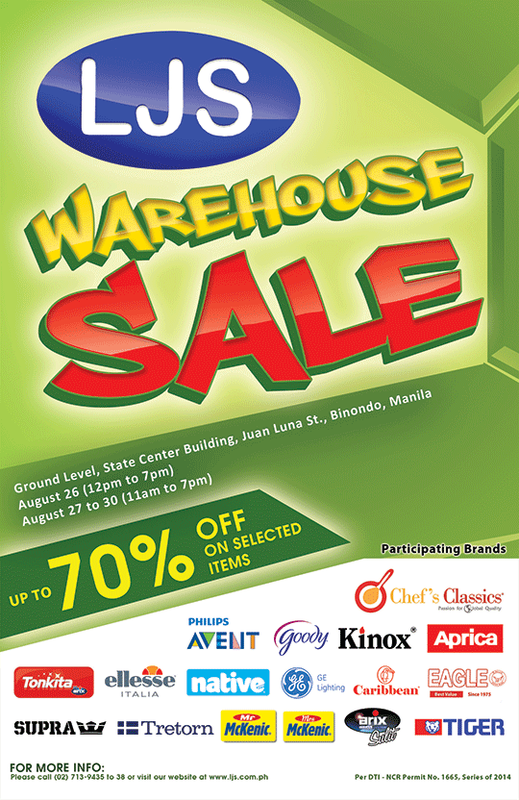 LJS Warehouse Sale is happening next week from August 26 to August 30 at State Center Building in Binondo! Get up to 70% off on brands like Philips Avent, Aprica, Tiger Tonkita, and more! I will try to go and shop! Me and my daughter loves chocolate variant!